To my recollection, most of the discussions I have about God and religion (the two are so inextricably linked) follow some predictable patterns: "and then science came along and explained everything better so people no longer needed to explain their world with gods and divine causes" and "religion is fucked up - it's a bunch of powerful people in positions of authority taking advantage of stupid people who are willing to believe anything to feel better about themselves" or "if only those people stopped believing they would also stop killing innocent people". I'm sure there are cases where even these imprecise statements would be true but I am generally bored by the consistently negative undertone in the discussions that people have about God and religion (throughout the text 'discussions' refer to discussions I am part of and can observe empirically). I am bored with the discussions because there is an implicit hypothesis that underlies all of them: that God and religion is for delusional people and in more extreme cases that its existence is causing the world to be a worse place than it otherwise would have been. So to address my boredom and irritation, and to try and write about a difficult topic that I don't really want to write about, I decided (somewhere during March 2016) to write a post about God. After some weeks of thinking I came up with a plan for how to do it. I decided to record, for the month of April, all of the media references I see about God and all of the discussions I have about God: in a way this would be a recording of what I observe about God for a month. Doing that would give me data to reason about, to analyse and to present for scrutiny. Sure, it doesn't meet the standards of experimental science but it is a dataset that is highly correlated with my lived experience. So its analysis by me has some value. The online sources which produced data points were: my Twitter and Facebook feeds, Aftenposten (a Norwegian newspaper) and the BBC. Print media sources were: The Economist, Aftenposten once more and a poster on a tram in Oslo. I took screenshots and pictures. The data is obviously not representative of what the general person observes. I don't even know who the general person is supposed to be (I am a South African living in Norway - and there are few of those). So yes, the data is biased towards my life but I am not pretending otherwise. There are also more subtle forms of bias that originate from the media sources themselves. The Facebook feed is constructed algorithmically and I don't know the implementation of this algorithm. Additionally, what the algorithm serves for me to observe is a function of my network, my stated preferences about whose posts I want to follow and activity of this preferred network - what people post, like and so on. So my inferences about what I see there are naturally limited by my ignorance in that regard. Nevertheless, the feed is some function of the relationships in my life and the lives of the people who are part of that network. My individual browsing of Twitter suffers from the same selection bias but presumably from a different algorithm. 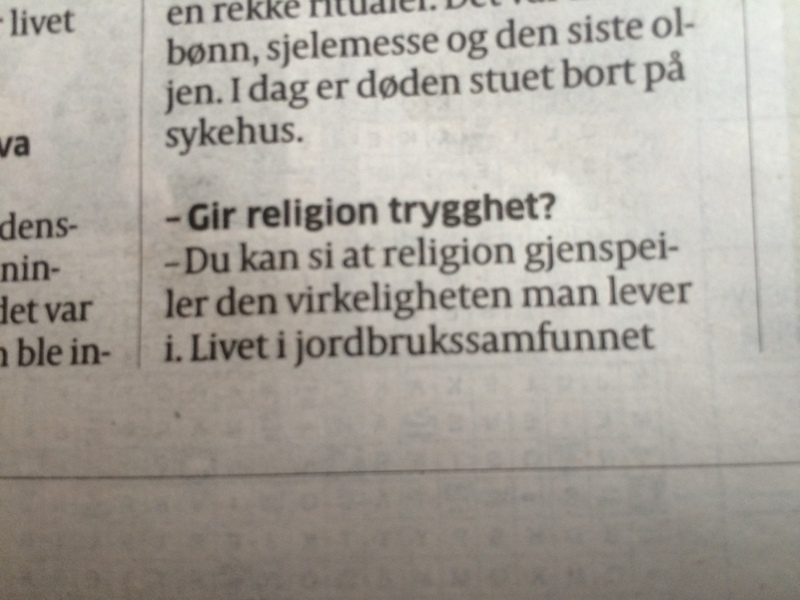 The BBC, Aftenposten and The Economist apply their editorial processes. So all of the media sources have different biases. Another obvious limitation is that the observational period only represents only 1 month out of the roughly 1664 months I have lived, ~0.6% of my total lifespan. So who is to say that April 2016 is the best month to choose? The only generalisations I can fairly make are about my own life. It is up to the reader to decide how relevant the observations and disucssions are to them. The first thing I noticed after my observational month had progressed by a few weeks was how few references there were at all. I didn't exactly expect to be overwhelmed by discussions but as a proportion of all of the other media I observed it was probably less than 1%. In fact, after a week of not seeing a single reference to God I decided to broaden the scope to include religion. At first I wanted to avoid religion and stick purely to discissions about God. But I quickly discovered that would leave me with no data at all. The fact that religion was being mentioned without any reference to God surprised me because people who discuss religion with me seem so intent on talking about the existense or non-existence of God. It seems like an eternal topic and yet I found no reference to it at all. Maybe April is a strange month or maybe I just have way fewer of those discussions than I can accurately remember? Maybe I overestimate how many there are because they tend to be memorably different from the rest of the discussions? Another explanation is that those 'existence' discussions are mostly started by Atheists, who happen to base some significant part of their identity on the non-existence of God. And I don't really belong to any community of Atheists. Religion was also mentioned few times which didn't match my feeling of how important it is in the world today. What I mean here is that it is an active force in shaping contemporary history, regardless of its merits or demerits. Understanding the way our societies are unfolding today cannot be be done in a nuanced or balanced way without an understanding of religion and so I expect informed discussion of history and society to take note of it where relevant. Why was I so surprised by this? Is there a mismatch between my mental model of the world and the world I inhabit? Is it because I excluded more subtle observations such as people wearing religious clothes, buildings such as churches, synagogues and mosques? An unsubstantiated claim with an evocative image - there is no argument or discussion here at all. But it is a good example of the general negative sentiments that I often encouter. The topics it seems to try and address would make for an interesting discussion though. So while we are on the topic of women, free will and free speech we can turn to the next data point. 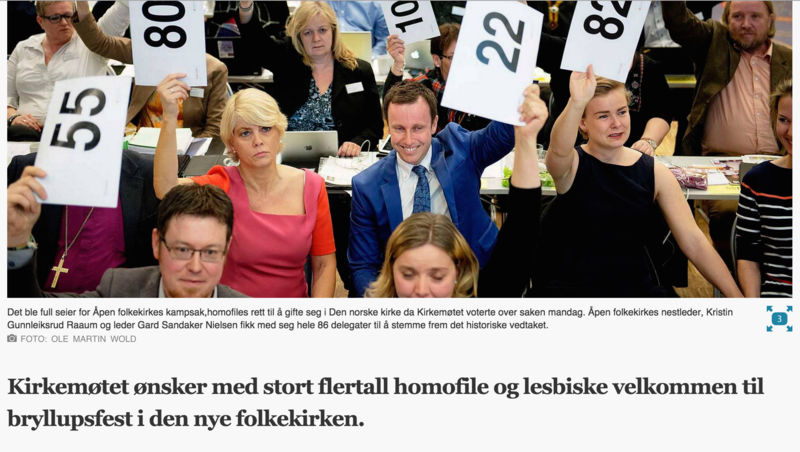 Turns out that during April the Norwegian Church voted for the acceptance of gay and lesbian marriage in the church. That is evidenc of support for free women, free will and free speech as far as I can tell. 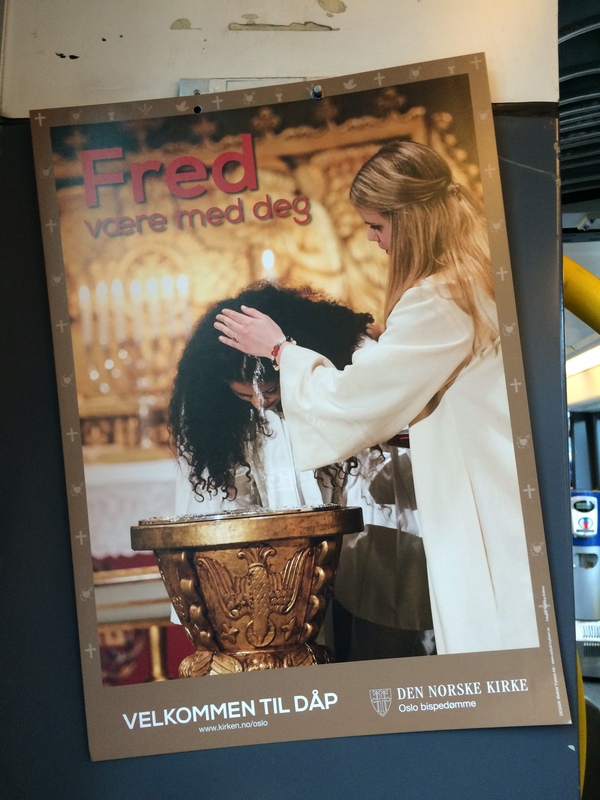 It shows a female priest - slight evidence of diversity. Continuing with diversity as a theme, another data point, this time from my algorithmic Facebook feed, also pointed to more acceptance of LGBT+ people. 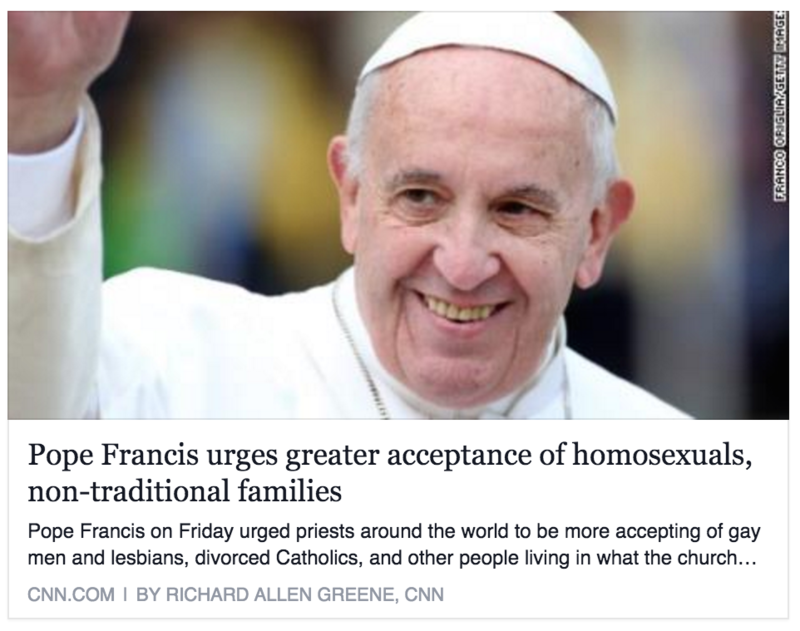 I am close to completely ignorant about the details of the Catholic church and its policies, so I will not attempt to spell out the details of what this means. 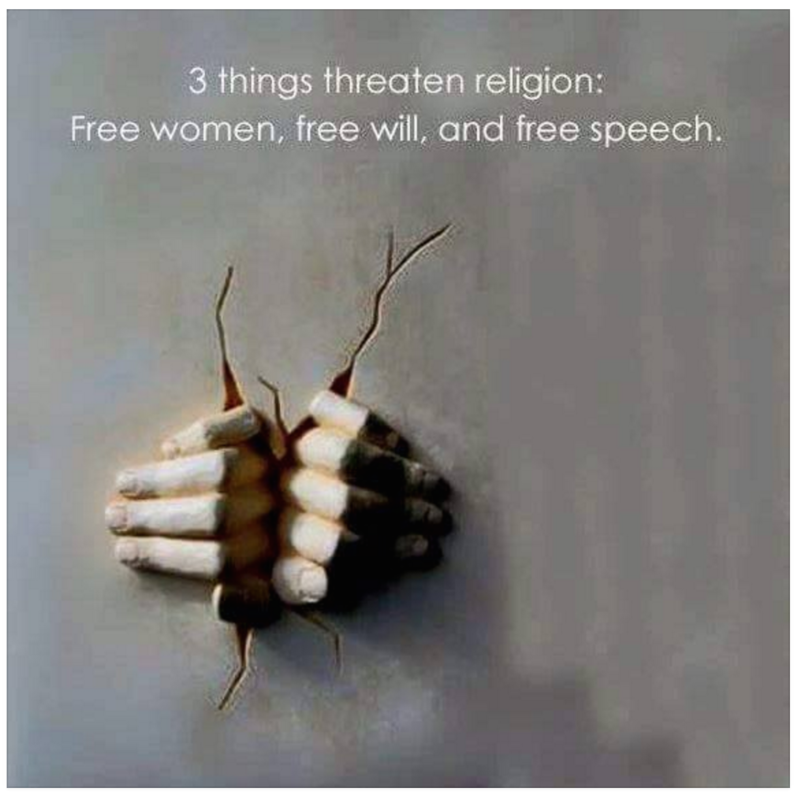 But it is a positive data point that argues against the unsubstantiated claim that "free women, free will and free speech" threaten religion. It seems like it really isn't that simple and that free women are using their free will to reform religions from within. This one is a bit more political which brings us to the next observation: the interaction between religion and politics. The president of South Africa, Jacob Zuma, has long since been accused by the public protector of wrongly using public funds to build his massive private estate. Back when the accusation was first made Zuma asked the then-police chief (appointed by Zuma himself) to investigate the matter separately. The police chief found that nothing was wrong and so Zuma felt that the issue had been dealt with sufficiently. 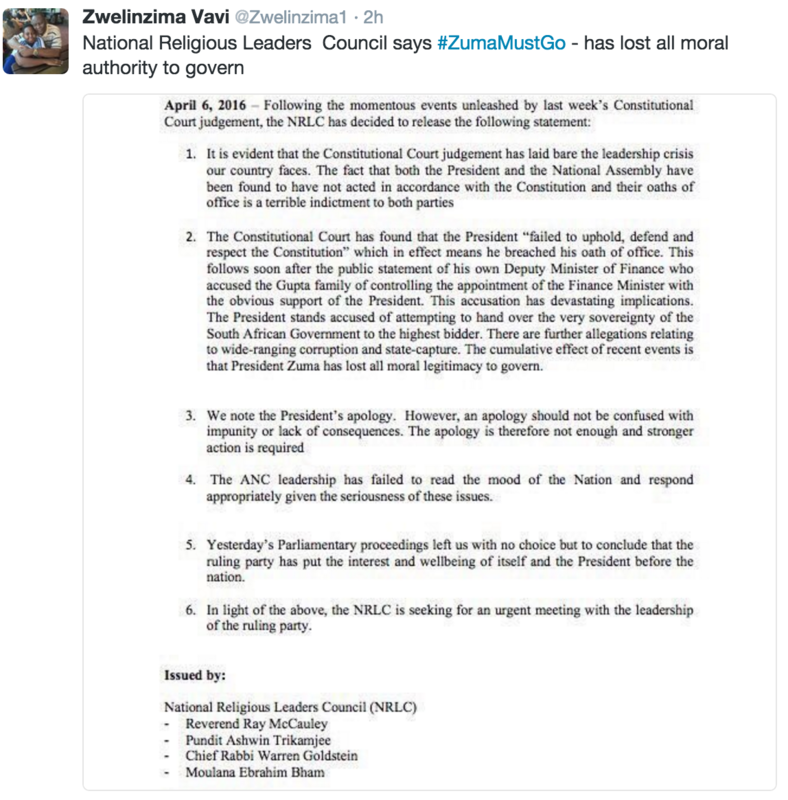 But the public protector, civil society and opposition parties kept rallying against the monstrousity and in early April a constitutional court hearing found that Zuma had he breached his oath of office as president by not upholding, defending and respecting the Constitution. The statement by the inter-faith NRLC supported the outrage by declaring that Zuma's actions undermined his moral authority. I for one agree with them. 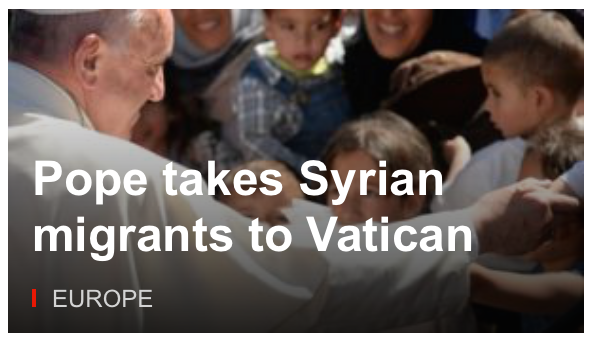 And I think this is a great example of how religion can play a positive role in the broader political process. 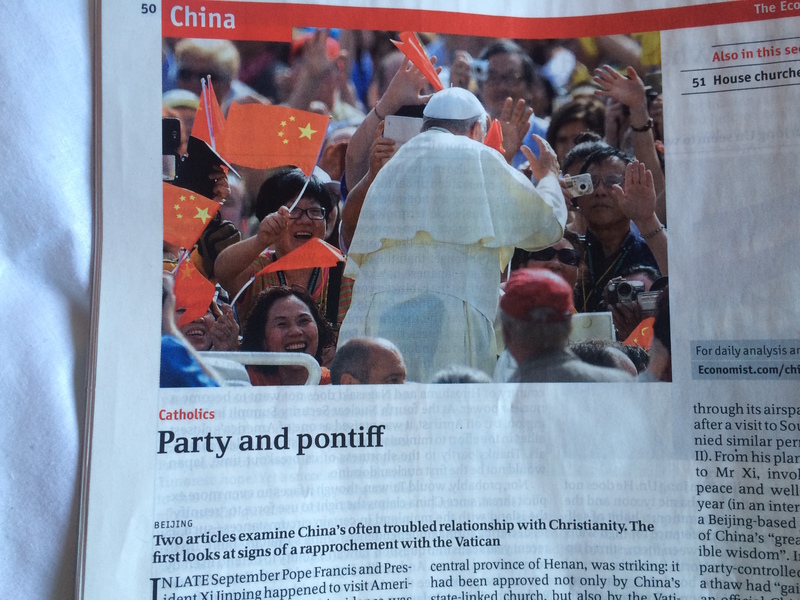 The second political data point came from the same Economist issue that presented the Catholic articles. This was about nationalist movements in India. It was a report about how a nationalist movement had adopted Hindu mythology to fuel its cause. This proves a bit exclusionary for the large part of the Indian population that is not Hindu. 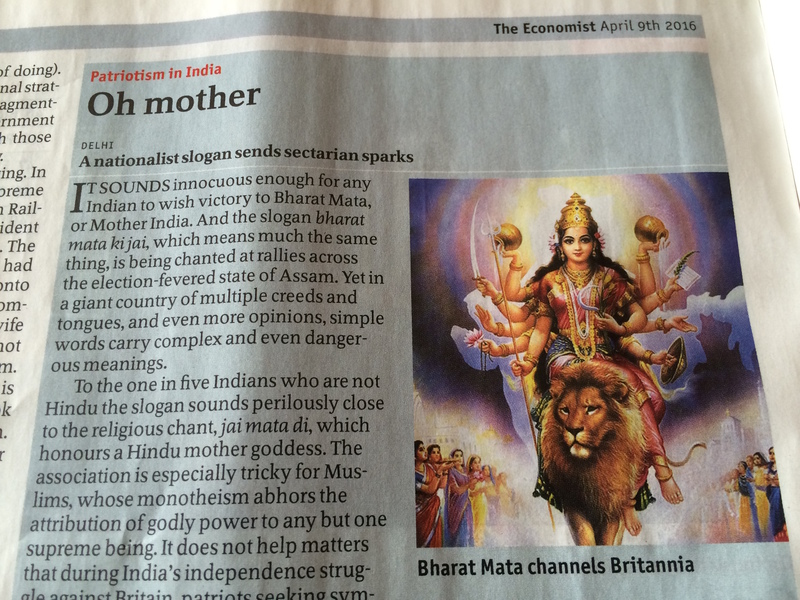 And so this is a good example of a terrible kind of religiousity: nationalistic nonsense. Let's hope it is replaced by something more inclusionary. I think it is a good thing that religious discussions and actions about real world issues are much more prominent than dogmatic and philosophical discussions about the existence/non-existence and/or nature of God or gods. This shows that religion is not simply for the delusional - it shows that it is very much intertwined with the rest of society and with the way people want to express themselves. Free men and women are fighting to gain the right to marry whom they love in the church - this hardly makes religion irrelavant in society. The political examples are also a reminder of the complex interaction between religious communities and society at large. On a more personal level I am reminded of how easy it is to hold attitudes that do not accurately reflect reality. Thankfully I am quite agnostic and relaxed about these matters so the mismatch between my expectations and the world do not drive me to extreme actions. But it was interesting to check my thoughts and opinions, and those expressed in the discussions I am part of, against a small observational sample from my daily life. Next time someone starts ranting about religion this or God that, I will make sure to ask them about their data and their method. It will make for a far more interesting conversation.